I’ve been wanted to post this since along time, but never had the chance. 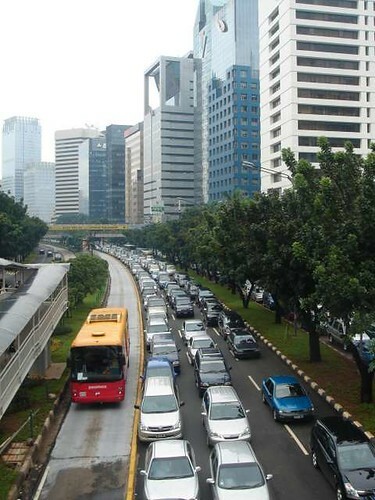 Now seems to be the perfect time :) Busway is the newest public transportation in Jakarta. Well not so new, it’s started on 2004 January 15th according to indonesian wiki about Busway. 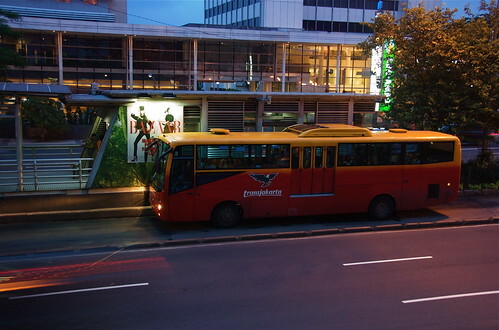 Busway compared with other public transportation is considered a new one. So 4 year in development with almost 15 corridor of pathway connecting Jakarta side to side. It’s started with quite a lot of controversial because it uses one line of road which usually called “Jalur Khusus Busway”. The negative effect of this line of road causing more traffic jam in hectic hour but the positive side is definitely pushing the people to use more of public transportation. The schedule? there is no strict schedule on arrival and departure on each station but in the morning around 07.00 to 09.00 and in the afternoon around 16.00 to 19.00, bus arrive at the station every 5 to 7 minutes tops. Before 07.00 the bus fare is IDR 2000 or around 20cent USD. After that, it cost IDR 5000 or 50 cent USD. 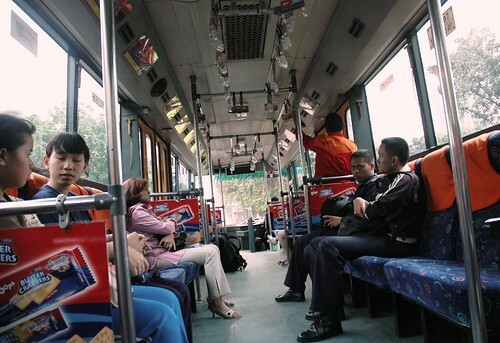 The inside of the busway is cooled with air conditioned so you wont feel hot riding one in the noon of Jakarta. I always have a feel that the driver of busway is look like in a hurry so if you didn’t get a sit while riding one, expect sudden brake in the traffic light. U could see the system map of busway in here. :D i forgot to tell that it’s really hectic when in rush hours, i never sits during those hours, i even couldn’t take a pictures because it’s too crowded, like the train in japan in rush hour. 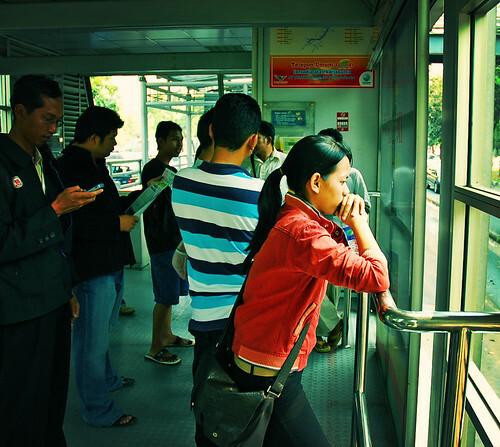 But luckily the bus is quite fast reaching to your destination, almost half of your time using a private car.